Keep the games going and entertainment options open with a gambling vacation from Southwest Vacations®. Las Vegas and Reno are hot spots for gambling getaways offering the best in casinos, hotels, dining, and entertainment. Discover great casinos in stunning resorts and hotels throughout Las Vegas each featuring unique themes like nowhere else in the world. Enjoy world-class shows and an array of superb dining choices that add to the gaming experience in Las Vegas. For the high-stakes gaming enthusiast, many casinos offer high-limit and no-limit betting areas. Experience the thrill of gambling while on vacation in Punta Cana. Casinos are vibrant at many of the larger resorts throughout Punta Cana, where you can spend your evenings playing games and hopefully winning big. Head to the Hard Rock Hotel & Casino to experience the biggest casino in Punta Cana, and one of the largest in the entire Caribbean. Gambling vacations are very popular in Punta Cana due to all-inclusive resorts featuring their very own casinos where you can play and gamble without having to even leave the property. 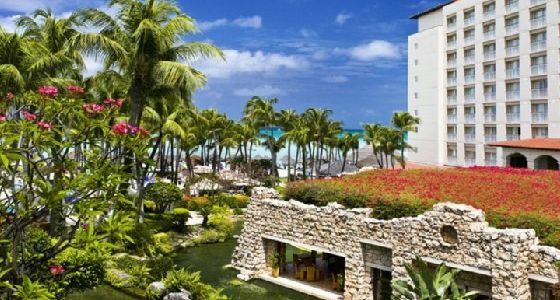 Aruba is a hot spot for visitors looking to indulge in gambling and games. That’s why there are plenty of casinos to choose from. Play all your favorite gambling games from low-risk penny slots to blackjack and poker for the higher-risk taker. With casinos located in most major resorts, all over downtown Oranjestad, and throughout resort areas, you’ll have plenty of opportunities to be a big winner. Gamble like a local and learn how to play Caribbean Stud Poker, which began in Aruba. Escape to "The Biggest Little City in the World" for non-stop gaming action! Located on Nevada's sunny California border, Reno provides a fun-filled alternative for gaming enthusiasts looking to win big! From blackjack to baccarat, Reno casinos offer cutting-edge gambling technology, gourmet dining, and spectacular headliner entertainment from sun up to sun down. Enter one of the frequent slot tournaments and experience a whole new level of excitement. Take a break from the slots and catch some of Reno's headliner celebrity entertainment. Reno hotels and resorts recruit top chefs from around the world to ensure superior dining experiences during breaks from the casinos.